Ideal for all types of Mornington Peninsula homes, planter boxes from Paul McQuillan Landscapes add beauty and practicality to your deck, garden or landscape design. 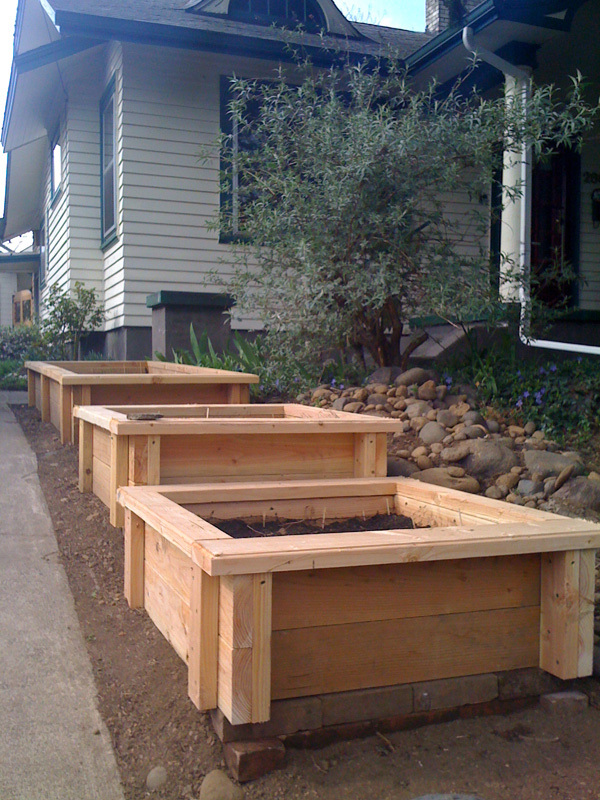 To match planter boxes properly into your landscape design, first get advice from the right local landscaper. 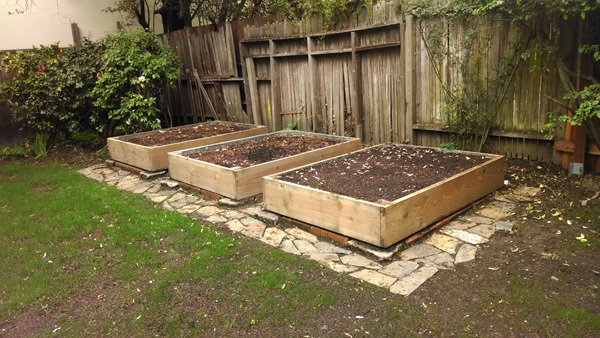 Mornington Peninsula landscapers, Paul McQuillan create planter boxes designed specifically to match your ideas and garden landscape. From Frankston to Flinders, Mornington Peninsula properties vary in soil, environments, landscape design and style. 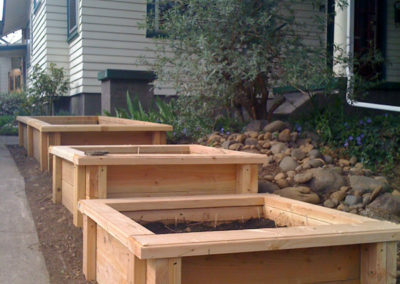 Well-placed planter boxes and flower boxes designed and incorporated into your garden landscape create interesting and purposeful planting areas that can be used for specific types of plants and as garden features. Great for any types of plants, planter boxes can be used for flowers, herbs and vegetables, succulents and native plants, among others. Planter boxes can also be built solely to house feature planting and plants can be shape and colour matched to complement your landscape design. 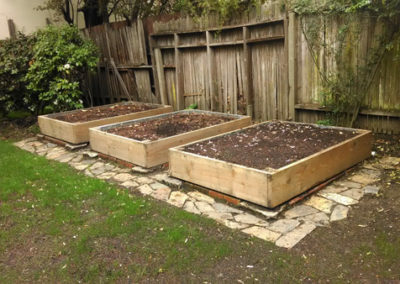 Timber and stone are materials that naturally lend themselves to great planter box designs and as landscape gardeners in Mornington Peninsula we utilise these to their maximum to create an enormous scope of variety in planter box designs. The beautiful array of textures, colours and effects that are available using stone and/or timber are augmented by the natural properties of these materials which are very beneficial to plants. 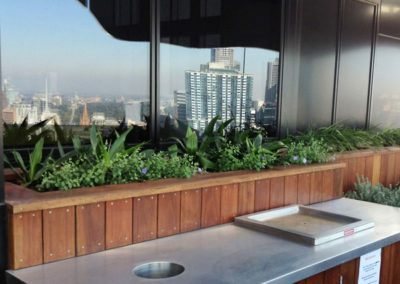 Planting in planter boxes has both visual design and horticultural benefits, allowing control and variation in positioning your foliage and greenery. 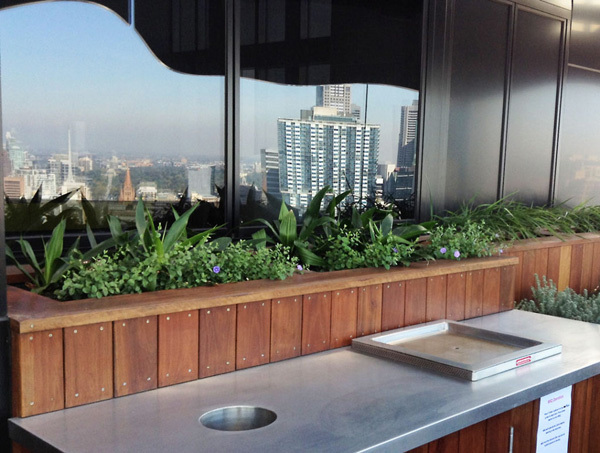 Variables like the weather in Mornington Peninsula and your overall landscape design including decks and pergolas, garden beds and paving for example, individually contribute to designing the best planter box. As garden landscapers with immense planting experience, we carefully consider the style, design and plants for each of your planter boxes.